Scientists at Los Alamos National Laboratory in Los Alamos, New Mexico, have developed mathematical models to describe urban characteristics and their role in society at large. Not surprisingly, population is the largest factor in determining urban characteristics but a city’s history, geography, and design also have a role to play. The researchers discovered that cities tend to conserve inertia – cities doing well tend to retain their positive characteristics for decades at a time while cities in decline find it takes decades to improve the quality of life within their boundaries. 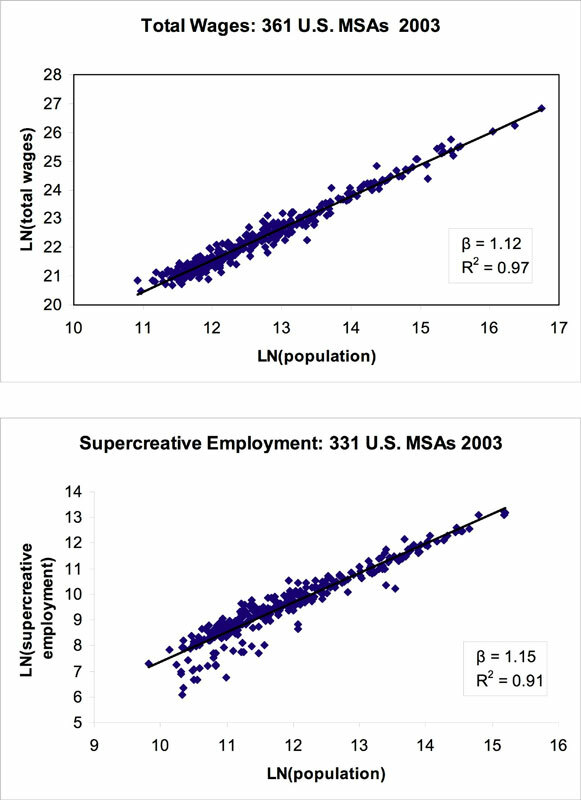 Luis Bettencourt of the Center for Nonlinear Science at Los Alamos and his colleagues devised several metrics for measuring and comparing the socioeconomic characteristics of cities and found some unexpected constants. One of these is a 15% rule – as population grows, both negative and positive factors increase at a rate 15% faster than a linear growth rate (in other words, things like wages, traffic congestion, and crime all grow by 115% when the population of a city doubles rather than growing at the same rate as the population grows). One surprising result from this research is the discovery of urban inertia – the tendency of a city to retain specific characteristics over a lengthy time period rather than reacting quickly to new stimulus such as spurts of population growth. Once a city starts to overperform or underperform in particular areas compared to expectations, it tends to continue that trend for decades regardless of population growth. These metrics can be used to predict the needs of urban areas and help determine the appropriate allocation of resources and other planning factors needed to successfully govern cities and their environs. They can also help predict how long it will take new policies to begin to show results and thus provide metrics for measuring their effectiveness. TFOT has previously reported on other urban planning and urban projects including software to remove pedestrians from urban streets in Google Street View and potentially other camera-based mapping software, GPS tools for crowd management, the AVENUE urban robot capable of autonomously exploring urban areas and creating site maps of the regions it examines, and solar trees that absorb solar energy during the day and emit light just like street lights after dark. Read more about mathematical research into urban characteristics in this Los Alamos press release and on the Los Alamos project page for this research. You can also read a related paper by Dr. Bettencourt and his colleagues in the PLOS One online journal.